Generations of medical and other health science students have been helped to pass their exams by the Illustrated books. The visual presentation of the subject matter, divided in to one-page units, makes for easy learning and recall. 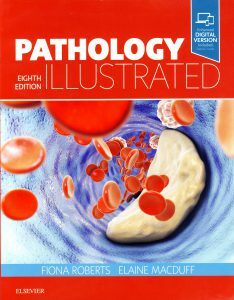 Now fully revised in this eighth edition, Pathology Illustrated covers all the essential information in as clear and concise a way as possible, focussing on what is most clinically important. Pathology remains central to the study of medicine and forms the bridge between the basic sciences and clinical medicine, making this book an essential purchase for today’s student. สิ่งพิมพ์มาใหม่: New Resources Releases © 2019. All Rights Reserved.